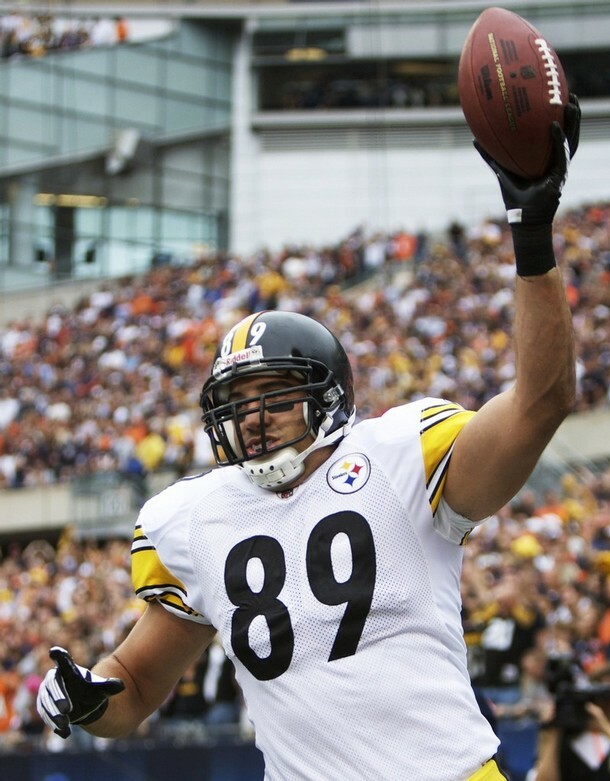 Pittsburgh Steeler tight-end Matt Spaeth, a graduate of St. Michael-Albertville High School and one of the community’s brightest stars, will host his third annual charity golf tournament later this month. Sundays, most St. Michael residents know one of their own is ready to lace up the cleats, and go to work on football's biggest stage. “It’s kind of crazy to think about [the National Football League lockout]. You hope that things change soon, or it’s going to be a tough deal for a lot of guys. But, yeah, I’m not really working,” he said Wednesday from the Caribou Coffee shop in Albertville. That’s not to say Spaeth, a standout tight end with the Minnesota Gophers, a member of the Super Bowl XLIII Champion Pittsburgh Steelers (last year’s AFC Champions), and a St. Michael-Albertville grad, isn’t busy. Yesterday, he had meetings with a possible charitable organization that wants his time. This spring, he’s had workouts with friend and fellow NFL standout Eric Decker (they’re getting an apartment now in St. Louis Park). Soon, he’ll join Larry Fitzgerald and other NFL greats at a self-imposed mini-camp at the University of Minnesota. Meanwhile, he’s rehabbing a sore knee (an inflamed patellar tendon) and organizing his third annual Matt Spaeth Charity Golf Tournament, set for June 24 at St. Michael’s Fox Hollow Golf Course. The first-ever tournament brought a huge financial gift to STMA Youth Football and the high school program, which was Spaeth’s original intention. But, as the second tournament rolled around, he wanted to spread the wealth. “I actually felt a little guilty giving it all to football, even though I wanted to help them first because really, it was youth football that got me to where I am now. But my parents and I were at church one weekend, and they were talking about the Hanover Food Shelf, and I thought that would be another great charity to get involved,” Spaeth said. Another friend and former coach, Keith Cornell, thought of a third organization to benefit from the tournament. The St. Michael-Albertville High School Student Fund, which aids financially disadvantaged families and students, was a natural choice. The student fund helps students pay for everything from gym shoes to ACT fees and college application costs. Friends who are involved with the tournament know how important the event is to Spaeth, and how hard he works to make it a success. For more information on the tournament, or to get involved, check out the website here, or visit Fox Hollow’s website. If you’d like to give to Spaeth’s charities, you can do so here, without even swinging a club. If you don’t play, don’t worry. Big No. 89 won’t be golfing, either.